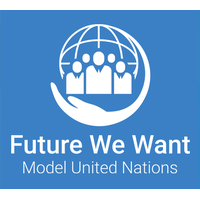 The Future We Want Model United Nations will host a 5-day exclusive Professional Certificate in New York City, August 5-9, 2019. The program is aimed to Generate and Consolidate Expertise on World Politics, International Relations, and the United Nations System. The theme is “World Politics & International Negotiation”. The program starts with 3 days of intensive training, led by UN Officials and experts in their field. It will then end with a 2-day MUN simulation. Participants are provided with a deep understanding of the United Nations, the SDGs and the 2030 Agenda, Negotiation Skills, Public Speaking and Leadership, all while engaging in several learning activities in a very interactive way. The Professional Certificate aims to guide the participants in developing their critical thinking skills which will further enhance their decision making and public speaking ability. We ensure the youths are able to develop profound knowledge on issues critical to the UN agenda and can contribute to shaping the future we want.